We are offering a wide assortment of HRC Couplings. These couplings correct incidental misalignment to improve efficiency and made using high quality components. 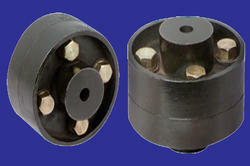 These couplings use a straight edge and thus provide ease of alignment. Additionally, these reduce vibration for a smooth operation. 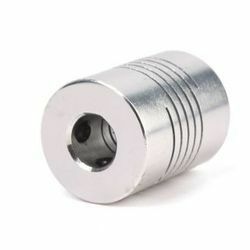 We are a renowned and customer centric firm, which offering a comprehensive range of Pin Bush Couplings. These are capable of transmitting high torques at maximum speeds. 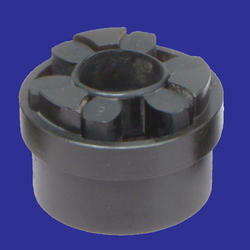 These couplings are manufactured with cast iron. This type of coupling permits drive in any direction and requires neither adjustment nor lubrication after fitting. 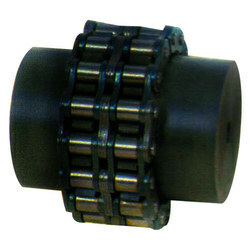 We are offering a wide range of Chain Coupling to our respected clients. Our offered products are used to join two pieces of rotating equipment while permitting the various degree of misalignment or end movement or both. Moreover, by careful installation and maintenance of couplings, substantial savings can be made in reduced downtime and maintenance costs. We are engaged in offering Aluminium Flexible Coupling. Looking for Flexible Couplings ?